For many years the children at ENPS have been immersed in programs to build skills and understandings to develop lifelong sustainable practices. In the beginning a selection of Environmental and Cooking programs operated as lunch time activities for groups of interested students. The number of children wanting to participate and their enthusiasm for these activities often exceeded the scope of the lunchtime activity. 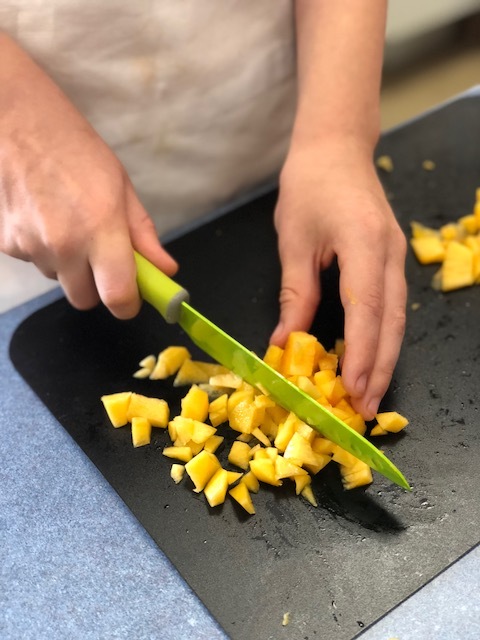 With our great facilities, these experiences are further enhanced with classes dedicated to environmental studies and cooking within class time. Students are able to experience the full cycle of food cultivation and its preparation for healthy eating. 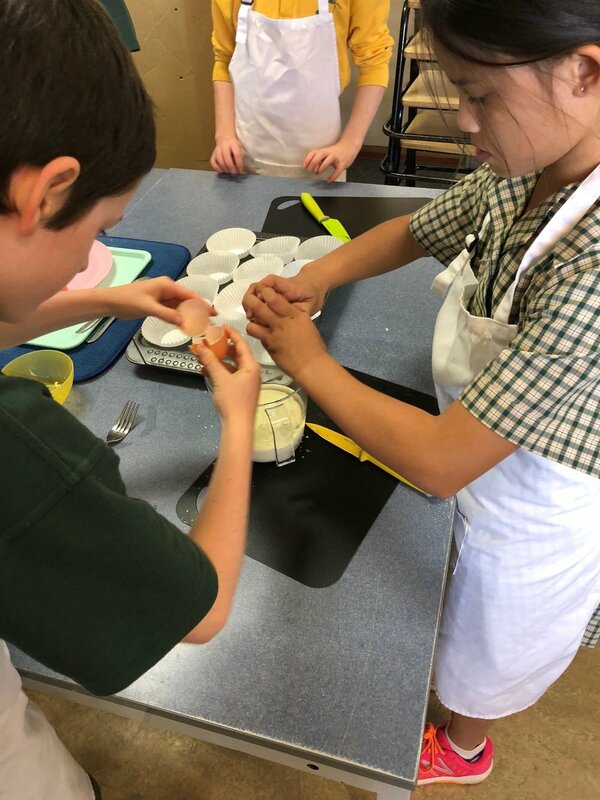 All components of the Sustainable Schools program: Water, Waste, Energy and Biodiversity are covered in this Environmental Studies-Cooking Program. My name is Karen Koutsodontis and I love cooking with kids. 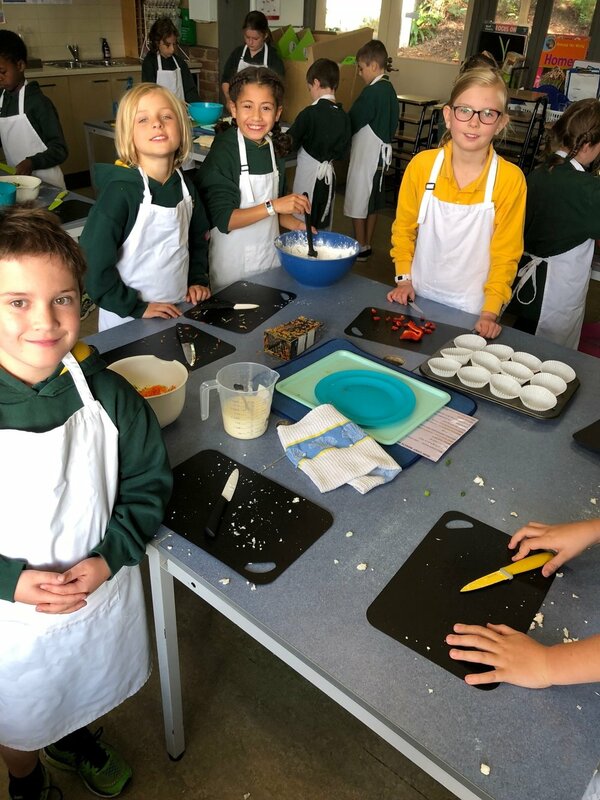 I come to you with experience in teaching kids for more than 18 years how to cook, originally working in secondary schools and for the last few years running a business called The Travelling Kitchen, travelling Melbourne running cooking incursions with kinder and primary school kids. I believe it is so important to teach kids a love of cooking as young as possible, teaching them how to care for themselves, how to form healthy habits and make wonderful “munchin memories” as we call them to look back on fondly as they grow older. I remember my love of cooking starting in my Nonna’s kitchen and I do hope they share their cooking experiences with you in your own kitchens. - Link to the year levels inquiry topic where possible. I thank you also in advance for lending your time in the kitchen to assist, as it ensures all lessons run more efficiently. I hope you come back to this page often to download the recipes to make again, see the photos or leave us a comment on anything cooking. 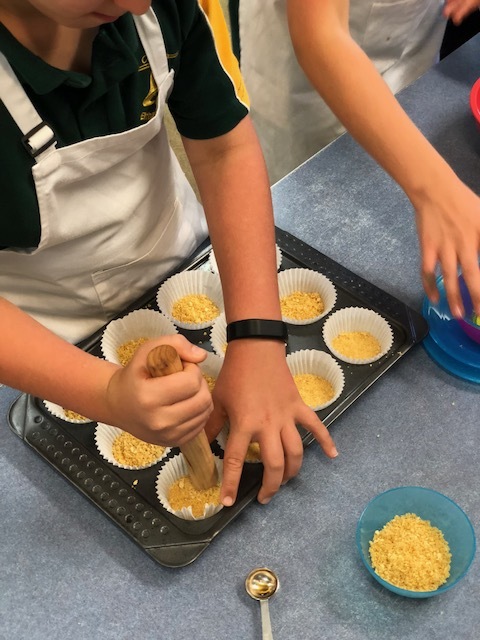 Very excited to be an ENPS in 2019 cooking up a storm with the kids!